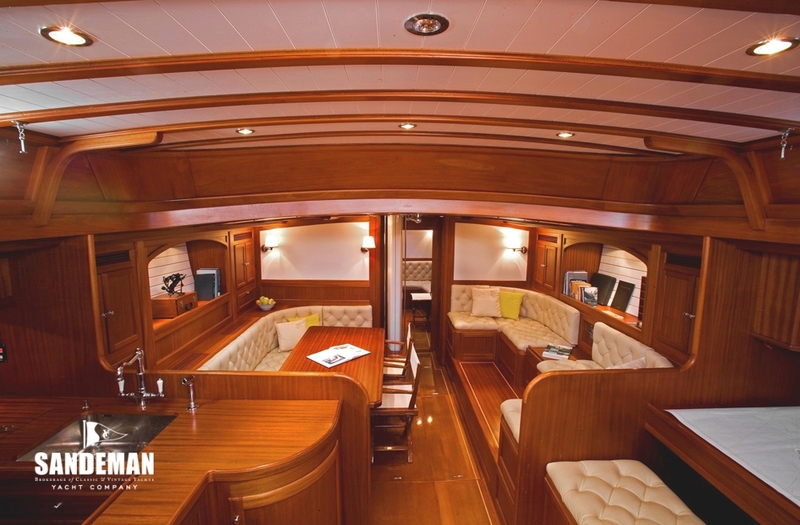 Over nearly 50 years, the Sangermani yard has built yachts renowned for the quality of their construction, speed and comfort and PEGASUS is a masterpiece in a long line of excellent and in many cases famous boats. 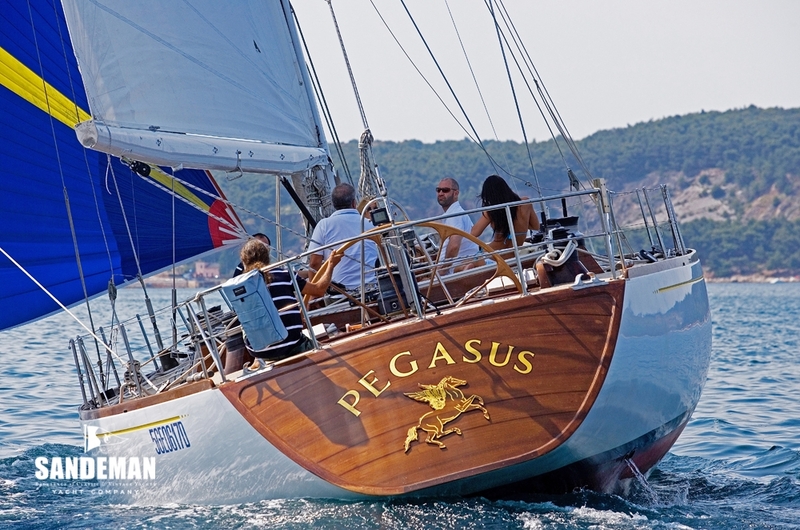 A handsome and head turning yacht, PEGASUS is also comfortable and fast; a pleasure to sail. 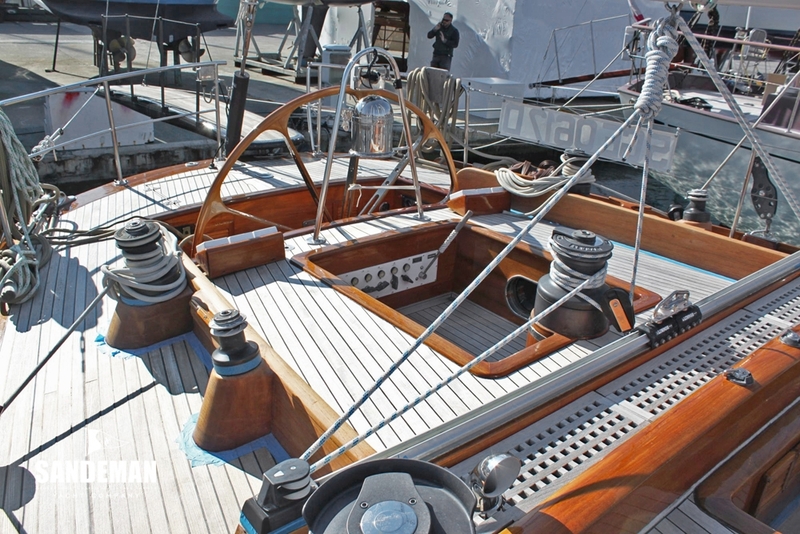 PEGASUS exudes an almost muscular presence of the late 70s and 80s race boats but she was designed to cruise and her uncluttered expansive deck space and huge volume below mean she is well suited to this role yet she is fast enough to win regattas and is easily sailed. 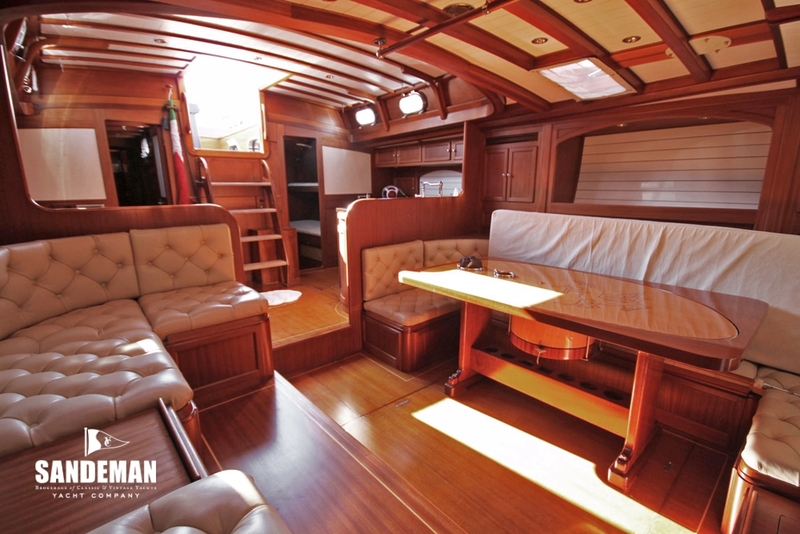 Sangermani has built many beautiful boats from wood and PEGASUS was their last and all the more special for this. 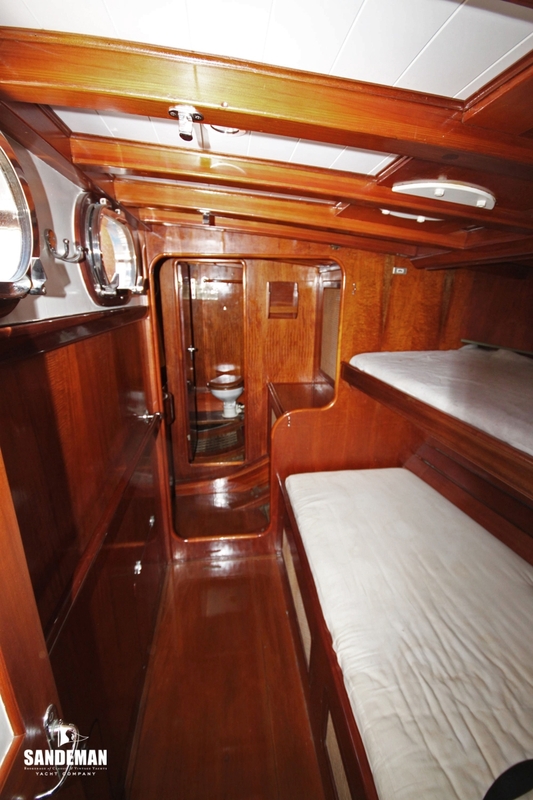 The current owner is willing to consider in part exchange a smaller yacht to sail with his family. In the last 12 years we have sailed Pegasus throughout the Mediterranean visiting many times Sardinia, Corsica, Sicily, Greece, the French Riviera etc and she is the perfect, reliable, seaworthy, comfortable and very fast yacht in which to enjoy sailing short-handed or with a crew. 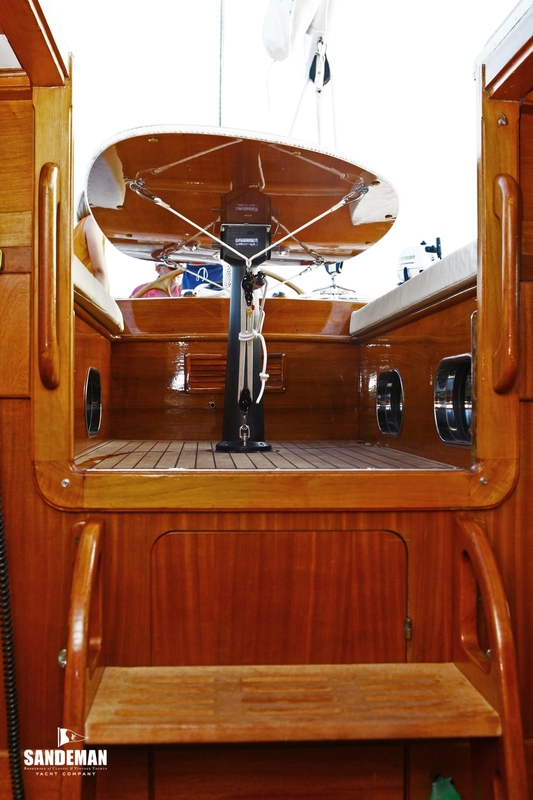 When alongside she is always an attraction and she is definitely a beautiful spirit of the classic boat. 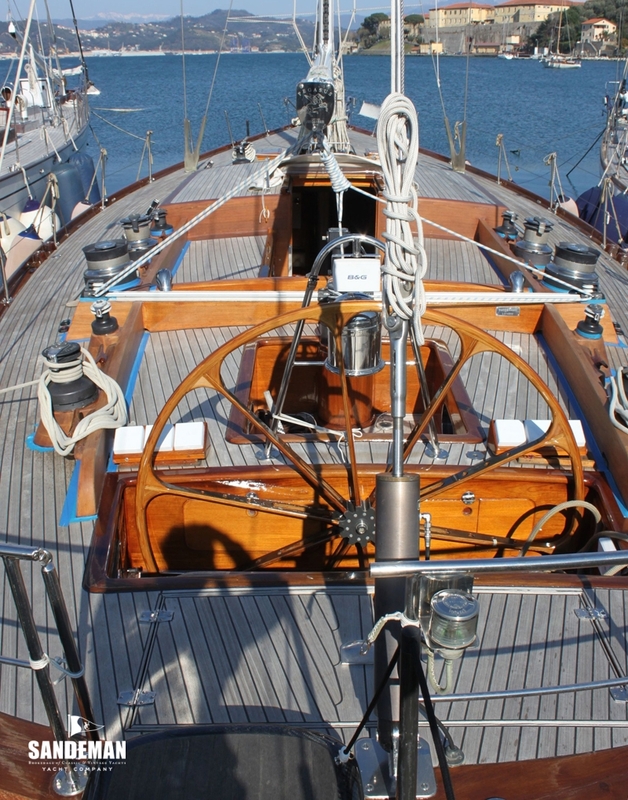 Launched in 1989, Pegasus was commissioned by a client wanting a classic racing boat built with modern techniques. 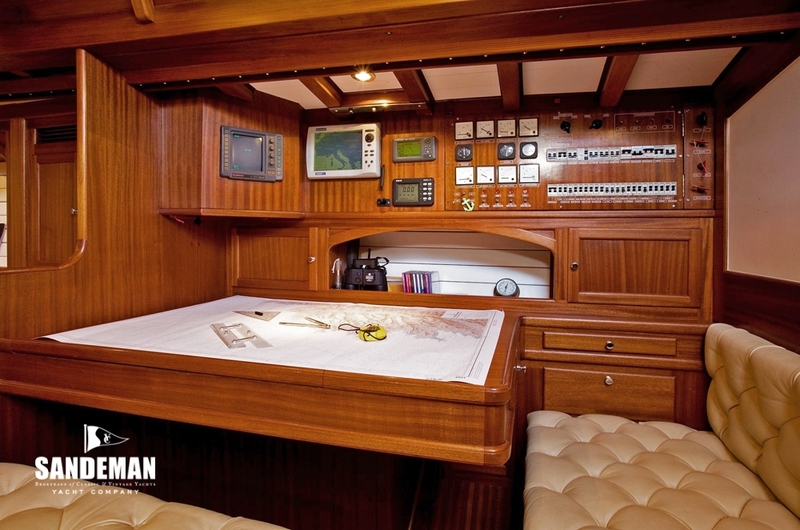 With this in mind, Cesare Sangermani designed an innovative semi-flush deck, comprehensive deck equipment for a racing crew of 15 and a 27 metre Cariboni aluminium mast. With a dedicated helm area she has two separate cockpits. 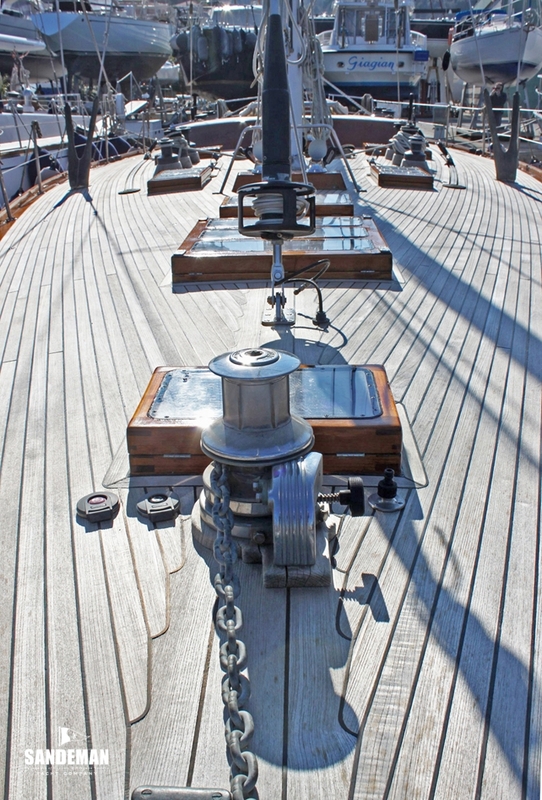 The first is for the skipper and main, the forward larger space has a grinder for the fore sails. Among other modern features, she has a wing keel which reduced the draught to 2.7 m but affords an amazing speed sailing between 110 - 250 degrees. 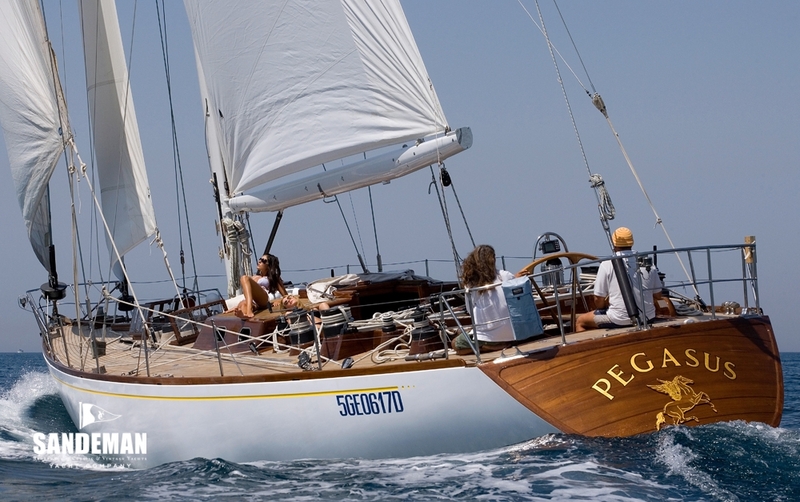 PEGASUS started life for her first owner participating in Mediterranean regattas – with quite sparse stripped down accommodation - and delivering great performances. 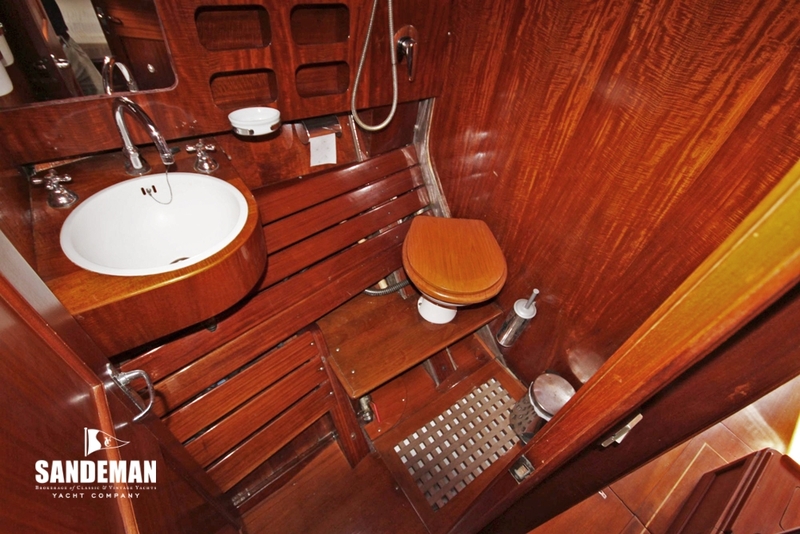 Her second owner changed her name to SANTA MARIA and used her mainly for cruising, having crossed the Atlantic then spending a couple of seasons in the Caribbean. 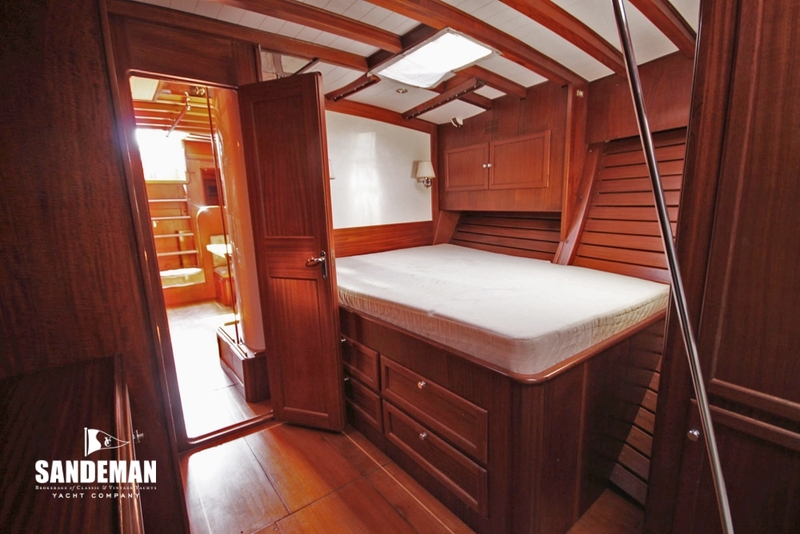 The current owners bought her in 2003 and in short order gave her a significant functional refit. Reverting also to her original name PEGASUS, the main task was to convert her simple interior into the elegant boat she deserved to be. 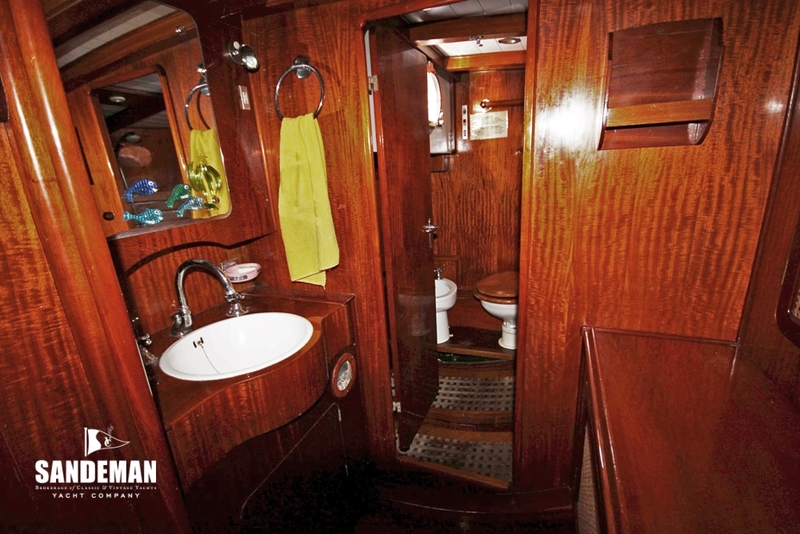 At Sangermani an architect designer was engaged to rethink the interior and create spacious areas with a large galley, saloon and 3 double cabins with en-suite bathrooms plus a two bunk crew cabin with separate access. 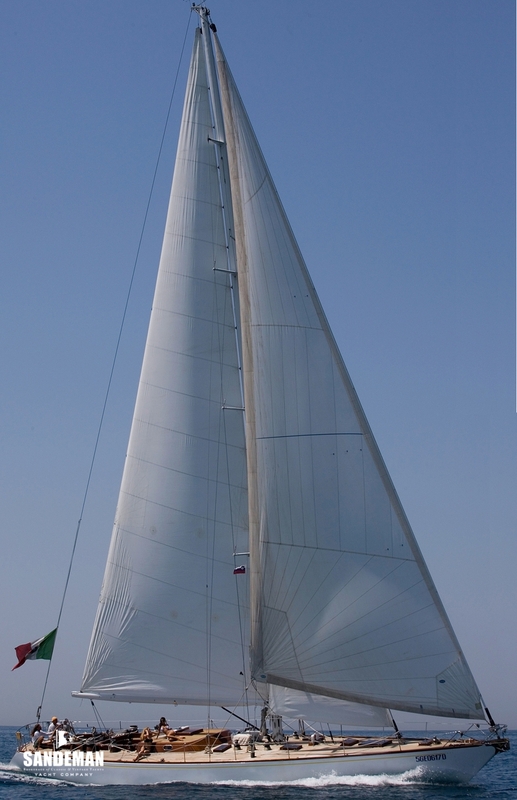 The rig was simplified to enable short-handed sailing. 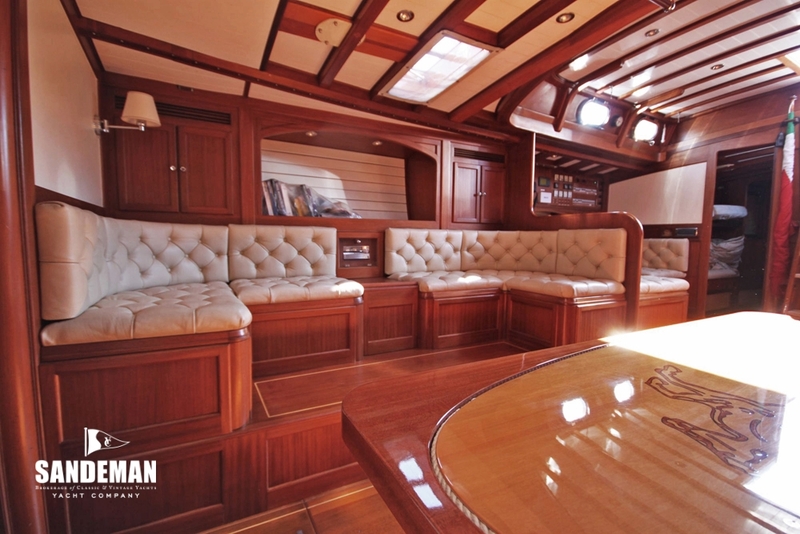 The rigging, electronics and amenities have been significantly updated over time variously by the Sangermani and Valdettaro shipyards. The last major refurbishment was to the engine which was taken out, entirely disassembled and refitted bringing it effectively to zero-hours. 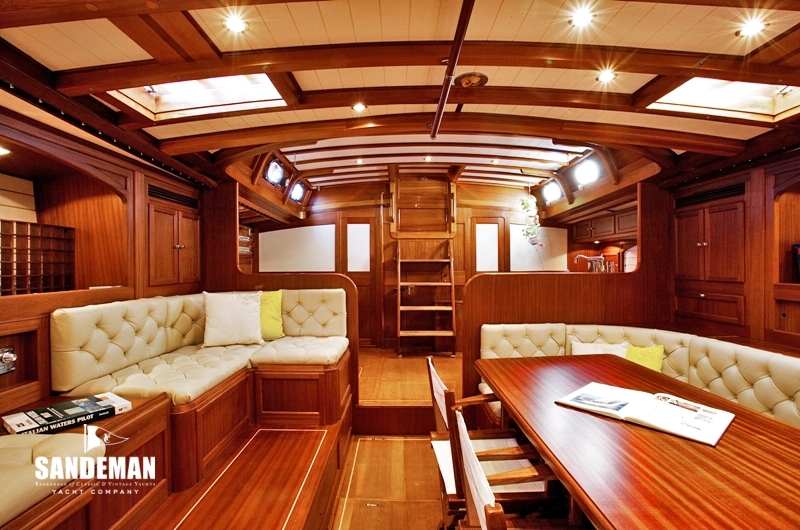 PEGASUS is well looked after by a full time captain who maintains her in splendid condition. 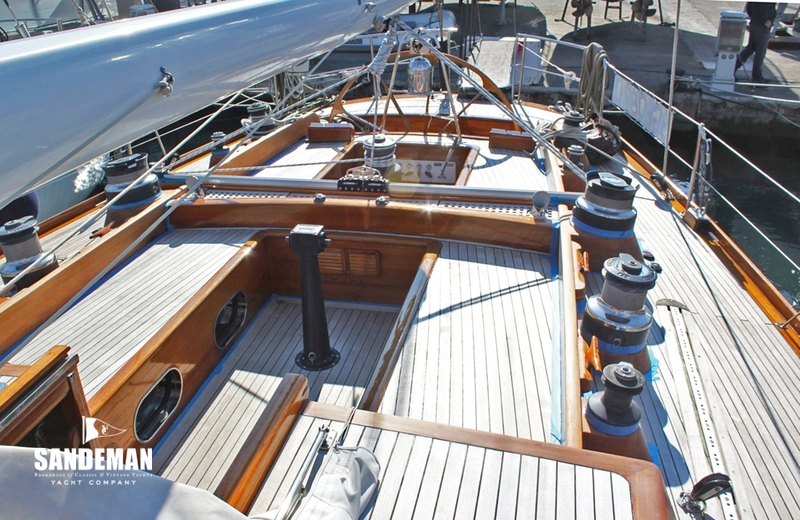 The light, rigid and very fast hull was built using the West System invented by the Gougeon brothers in the US to perform under the new IMS measurement system. There are five layers of laminated wood saturated with Epoxy – the interior layer consisting of 8 mm of Western red cedar, followed by four further layers of 5 mm. 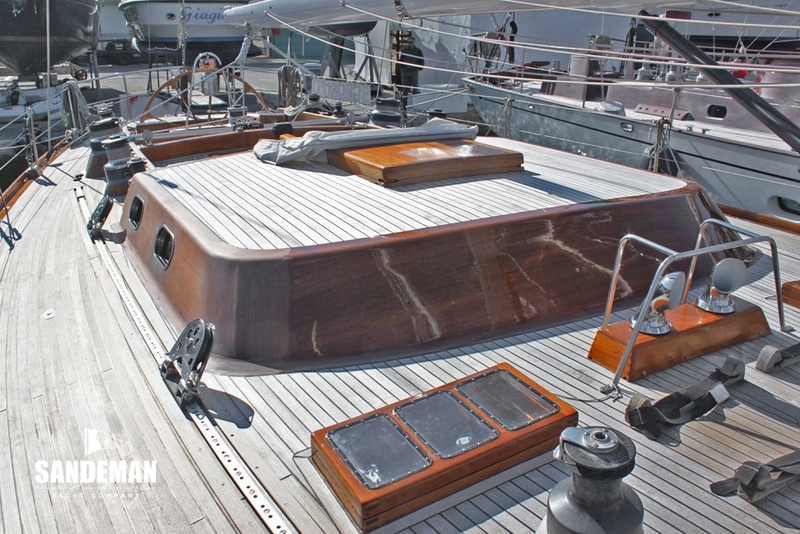 The hull thickness is thus 30 mm thick, capped by a traditional teak deck.